Controlling the mechanical heat in electronic drivers is fundamental to manufacture reliable product. Temperature fluctuations and heat stress effect on a product’s reliability and lifetime. It is important to understand that lifetime of product decrease as temperature of component increases. Product temperature is a function of power dissipation, thermal resistance and ambient temperature. Higher efficiency and low product thermal resistance can reduce the product operating temperature and improve the lifetime significantly. Under standard operational conditions, devices are switched on and off many times throughout their lifetime. Power cycling is used to predict the fatigue life-cycle of a device, and can be used in combination with electrical, heat and stress analysis to predict the lifetime of a product. Power cycling is also important in the determining of an electronic device‘s reliability. 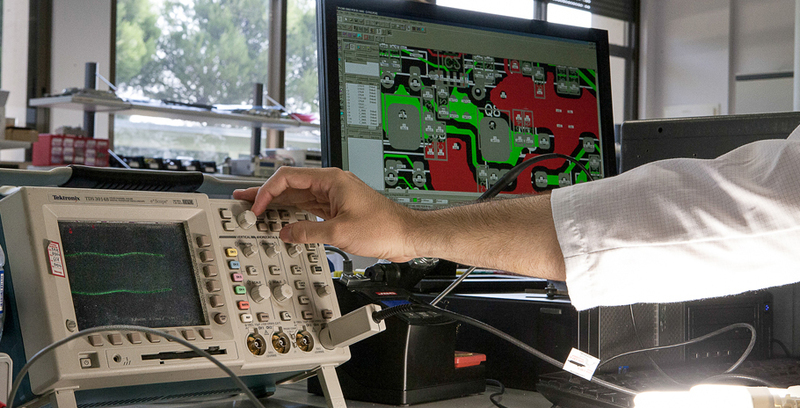 The results of these tests inform our understanding of the limitations of electronic components; key knowledge during the development of any product. This is one of the most basic tests that determines the standard resistance of a device to prolonged operational stress, including both electrical and thermal stress. The best way to find optimal solution for is through careful specification of the realistic operating parameters and assure the prototypes meet the specific requirement. This procedure will influence system reliability as well as cost. Every product needs to be stored at some point, and it is inevitable that storage and the conditions of that storage affect the product. It is important to understand the effects of various storage conditions on products, specifically on the materials used, which will degrade over time. This test helps us to know how best to protect the items from unnecessary damage and degradation during storage, to define ideal storage conditions and make shelf-life predictions. Hence the high temperature is one the most effective parameter to reliability and life time of LED driver, the thermal management becomes crucial part of any product’s design. The over-design of an electronic system adds unnecessary cost and weight, whereas the under-design of a system may result in overheating and even system failure. Finding an optimized solution requires in-depth understanding of how to predict the operating temperature of a device and how the heat generated by the given components affects neighboring components and devices. Thermal simulation is used to highlights safety issues before they arise and ensure that all components and their assembly perform properly within the expected temperature ranges. Lifetime prediction Materials experience changes in their thermo-mechanical properties during heating and cooling, changes that affect the reliability of products. Thermo-mechanical simulation allows our thermal engineers to understand how the structure of a device behaves under both mechanical and thermal loading, enabling the prediction of its structural reliability, which in turn allow us to analyze and understand the performance of structures and systems so that we can improve them. Ventilation flow rate is an important parameter in the measurement of indoor air quality. Its determination is very complex as it is based on various factors including outdoor air quality, airflow rate, and indoor generation of pollutants, air moisture content, thermal environment and air supply. An optimal design can be provided only by considering all of mentioned parameters in a simulation process. Lifetime prediction To minimize and control the risk of dangerous conditions arising due to exceptional air velocities, forces, pressures and accelerations, it is important to assess and understand the effects of such forces on all components and the assembly of a product. Thermography measures the thermal radiation of an object and produces easy to understand visualizations of radiated heat energy: the higher the temperature, the higher the radiated energy. Advantages of using thermography include its ability to capture real time temperature states, produce a picture of temperature over a large area and measure inaccessible areas, as well as the fact that it is a non-destructive procedure. For reasons of safety it is essential to understand the behavior of components and materials when exposed to open fire or conditions that can cause ignition, such as unexpected heat from surrounding components or even from operation at high temperatures. Glow wire testing is used to evaluate the fire hazard components pose and the fire protection and flammability of materials used within a device.